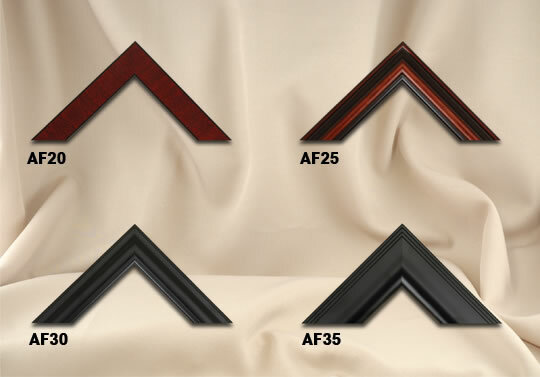 Our frames are made with the same materials and in the same manner as found in professional art galleries. Our pricing does include mounting of one client-supplied document in each frame. Each frame features your choice of a glass face or a shatter-proof acrylic lens. We apply a paper dust cover on the back of all of our wood frames and each frame has a wire hanger for easy centering while hanging as well as rubber bumpers to eliminate any scratches on your wall. Please contact the factory for information on the framing of custom mats as well as items such as nameplates, medallions or other items. The profiles shown below are a sampling of our most popular profiles. We have hundreds available. 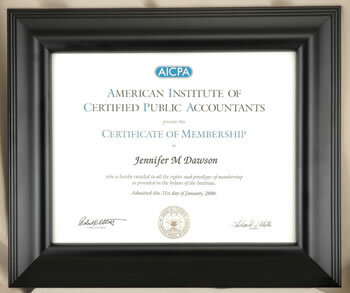 Prices are for a professionally assembled frame with the insertion of one client-supplied document. Contact the factory if you would like us to supply certificates.